A federal bankruptcy judge has approved a plan for the Diocese of Great Falls-Billings to pay $20 million to 86 people who said clergy sexually assaulted them when they were children. The bankruptcy plan was approved Tuesday in Butte. 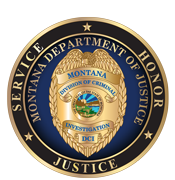 Today at the Montana Capitol, legislators heard a bill allowing victims of childhood sexual abuse to prosecute their abusers indefinitely. Brian Kahn talks with Dana Toole, Bureau Chief of the Children's Justice Bureau in the Montana Department of Justice, and Rep. Jenny Eck, member of the Montana Legislature. The topic: initiatives at the DOJ to improve how the department responds to victims of child sexual abuse, and prevention strategies.